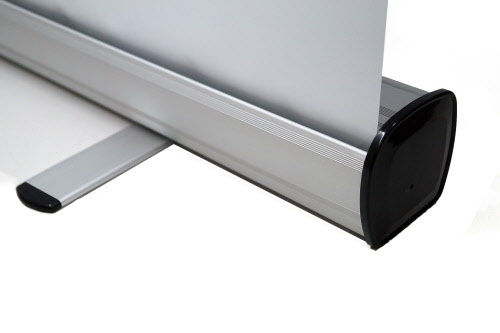 Ergonomic, compact roller banners ideal for exhibitions and shows. Easy to assemble and transport. 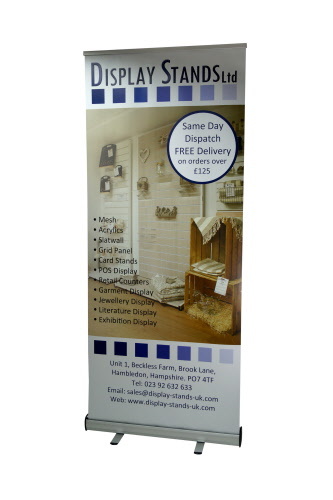 Attract potential customers even at a distance with these 2m high banners. Features Snap-clip top rail, support poles and carry bag. Upload your artwork and we'll deliver your complete roller banner ready for use. Please provide artwork in either PDF, JPG, TIFF, PSD or EPS format. PDF's Preferred. Fonts to be embedded or converted to curves/shape. Height 2200mm / 220cm /7ft 2"
Width 870mm / 87cm / 2ft 10"
Depth 310mm / 31cm / 1ft .25"
Height 2150mm / 21.5cm /7ft 0.5"
Width 850mm / 85cm / 2ft 9.5"
Aluminium A1 double sided poster display, constructed with a heavy duty base that can be filled with either water or sand for added stability.